The Florida Keys was hit with another minor cold front yesterday.. Producing lots of clouds and a little rain.. Today we had light north west winds and mostly sunny. Water temperatures were in the high 70's and low 80's. We did not find many tarpon today, but we did find one hungry one. 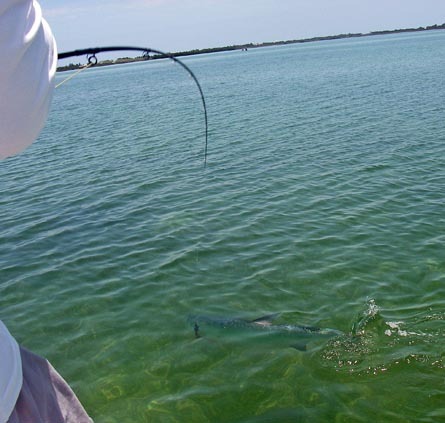 Alberto came all the way from Italy to catch this tarpon on a bunny fly..